The Vegalfaro Winery is located within the province of Valencia, in the region of La Plana de Requena-Utiel, where we make wines from grapes with own Designation of Origin: Los Balagueses, approved DOP Utiel-Requena, and last but not least our DOP sparkling Cava. Our 60 hectares of vineyards are divided into three very different vineyards due to the quality of soil, the microclimate and the grape varieties. All our plots of land are certified with the seal of Organic Agriculture as well as is the winery and winemaking facilities, thus all our wines are organic. La Muela is the vineyard with 330 hectares of land where Los Balagueses lies, right next to the archaeological site of Las Pilillas, which was an Iberian wine production factory dated back to the seventh century B.C. 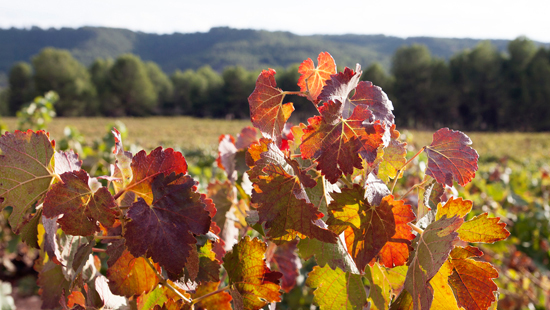 There vines are being cultivated, as has been always, alongside the cultivation of cereal, olives and almonds. 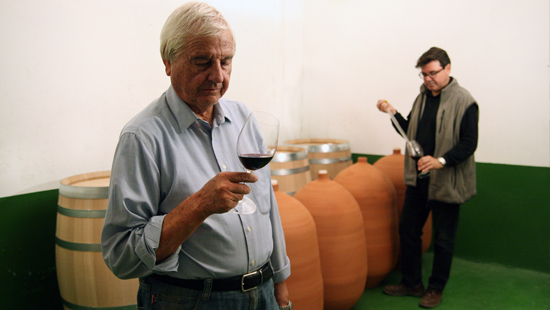 In 1999 Andrés Valiente decided to build Bodegas Vegalfaro to bottle his own wines along with his son Rodolfo, Technical Director of Bodegas Vegalfaro. Previously, his great grandfather Leonardo made wine in his cellar (winery) and his grandfather, Joseph, was an Orujo distiller. 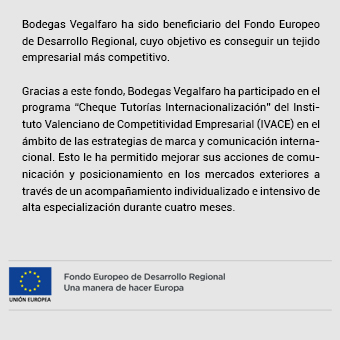 Later, in February 2011, the winery received the qualification Pago, which is considered the highest ranking of a vineyard in Spain and from where wines with singular characteristics and qualities are obtained. This is a terroir reference comparable to those in other European countries such as: Chateau, Cru, Domaine and Clos in France, Castello in Italy and Quinta in Portugal . At our vineyard there has never been used any pesticides, so the soil is alive. It proliferates a micro-fauna very important to the decomposition of organic material and nutrient absorption by the vines through a “symbiotic relationships” with the roots, while helping to control the appearance of any plagues. 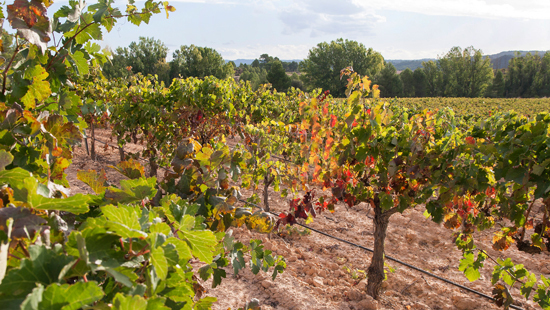 The Balagueses vineyard is a sandy and calcareous plot of land, with limestone being predominant and with a sandy base, typical to the area due to the erosion of the land slope. The vineyard Finca Alfaro consists out of several plots of chalky and clay containing soil. In the highest part of the valley lies Los Roques, with more chalky soil and at the bottom, near the river, lies El Bolero, on boulders of gravel eroded from the riverbed. After the harvest in the first hours of the morning, and after a selection of the best grapes, we proceed to make the separate elaboration of each vineyard of the estate and of each grape variety in order to interpret each vintage according to its weather conditions and its growth cycle. The winemaking process follows a strict quality control and parameters are managed internally to avoid waste discharges back into the environment. Our facilities are thermally insulated to ensure process reliability and the saving of energy. For the aging of our wines we use oak barrels from French and Central European forests, besides a recent line of research with the aging of red wines in terracotta amphorae. With this method we obtain only hints of the wine aging, without the fruit sensation and the terroir being disguised.